My word for 2012 is Update – i.e. modernize and refresh. I want to update my eating and exercise habits, update our home, and update my goals. With this in mind, I wanted to organise a few things to update my workstation at the day job to make it more personalised. 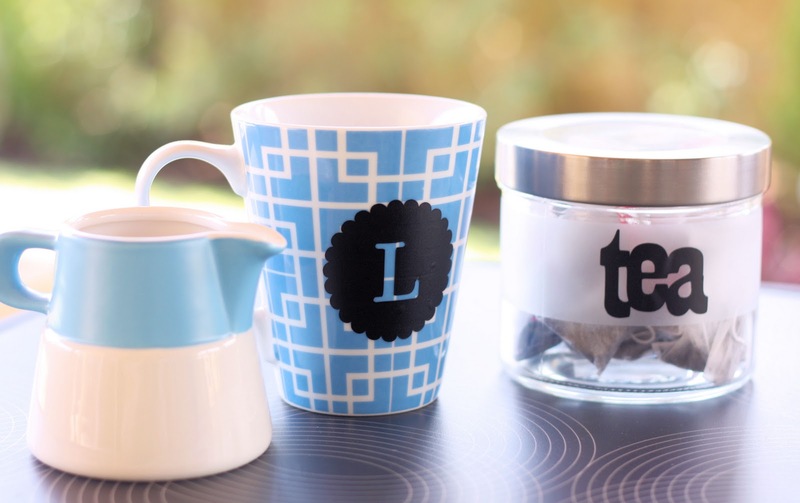 We have to supply our own tea/coffee, so some vinyl lettering was in order. 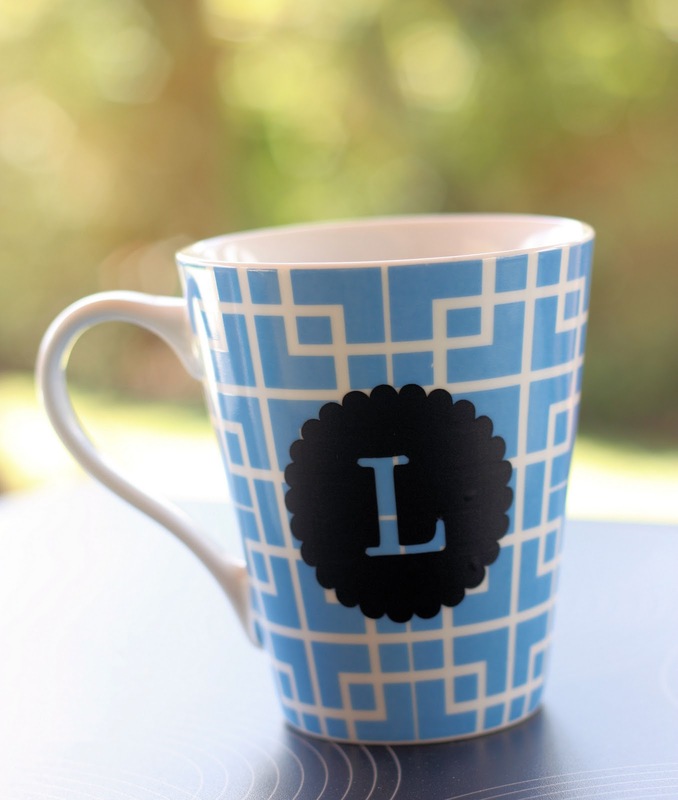 I used the Cricut and the Tie the Knot Cartridge, to cut a Monogram for my coffee mug. 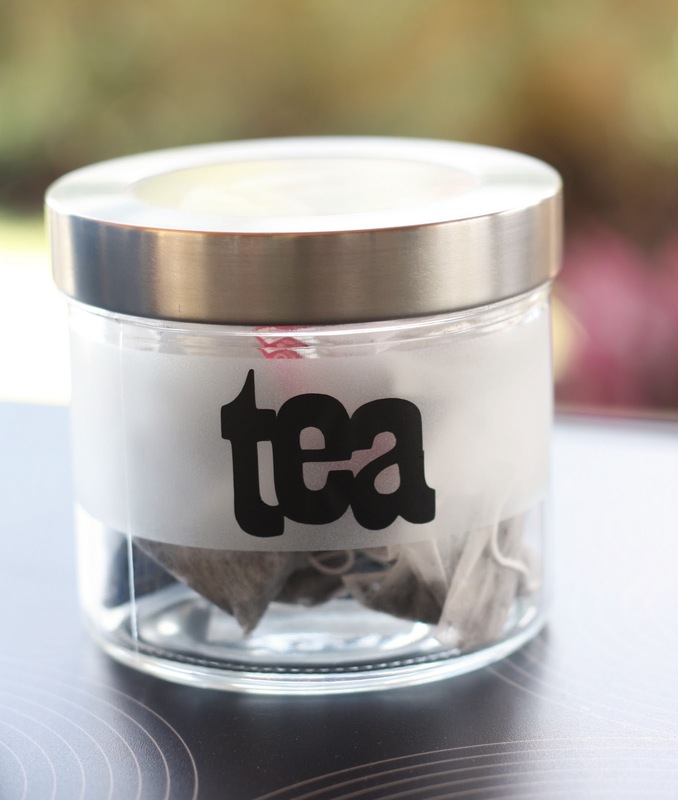 I used From the Kitchen Cartridge to cut a label for a tea cannister. Next, I hope to find some prints to decorate the workstation. I found some lovely free printables over at The Handmade Home. – love the camper vans. For another vinyl project, check out our Moustache Glasses. I love the new year and the feeling of getting organised. Good luck to your engineering student, my son has just completed his second year and really enjoys it. I love the labels I have been tossing up about getting either a Cricut or a Sihloutte. We hit Officeworks yesterday for school supplies! I always think you are a little more productive when you have a few personalised touches around.